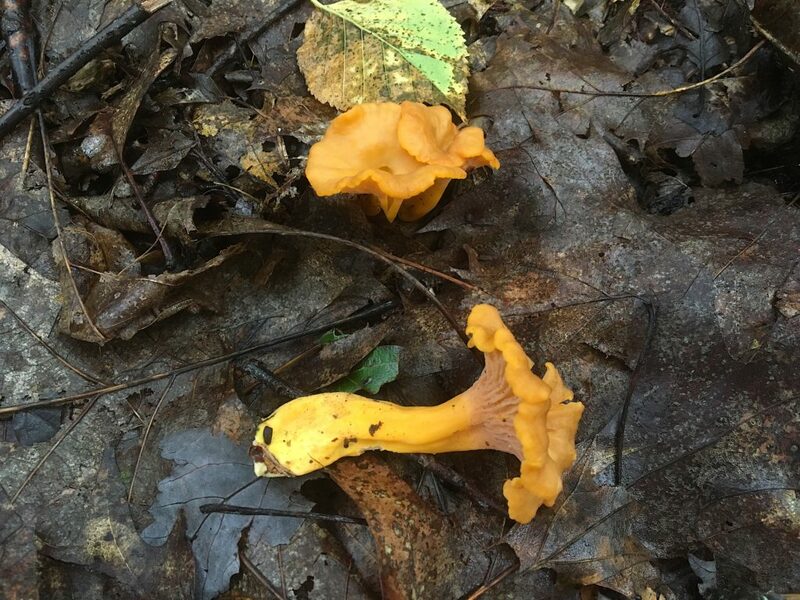 Chanterelles are in the same family as the northeastern Black Trumpets (Craterellus), but they have a few toxic look-a-likes, so they’re much trickier to identify than Black Trumpets. When you’re foraging for mushrooms, a positive identification is essential before you even think about eating. For example, there are plenty of bright orange mushrooms in the forest that you should not eat and so if there is any confusion, forget it. The intricacies of mushroom hunting are so varied and convoluted that, for the layman, most mushrooms are not worth the risk of misidentification. Rest assured that mycology – the study of fungi – is a lifetime of learning and that most of what you find in the forest should be left alone. 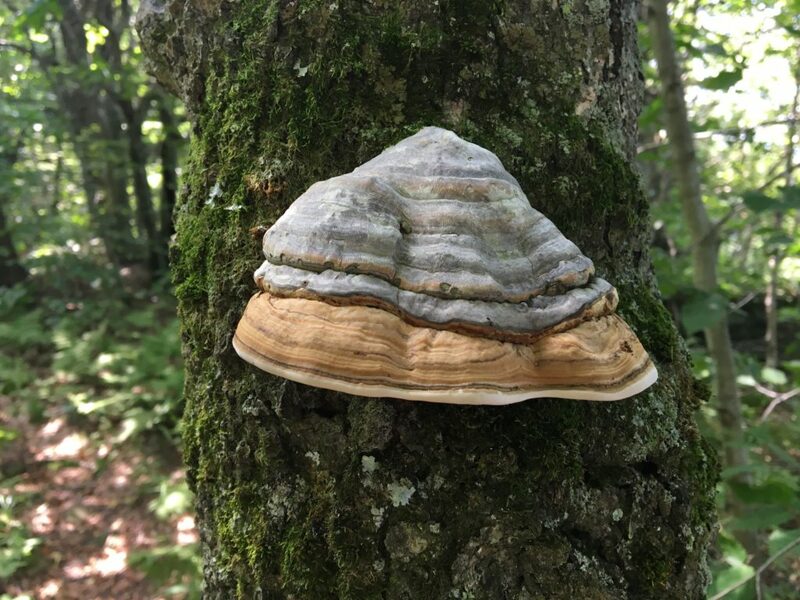 This entry was posted in Foraging and tagged Catskills, Foraging, Foraging in the Catskills, Mushroom Hunting, Upstate New York on August 21, 2018 by JNUrbanski. 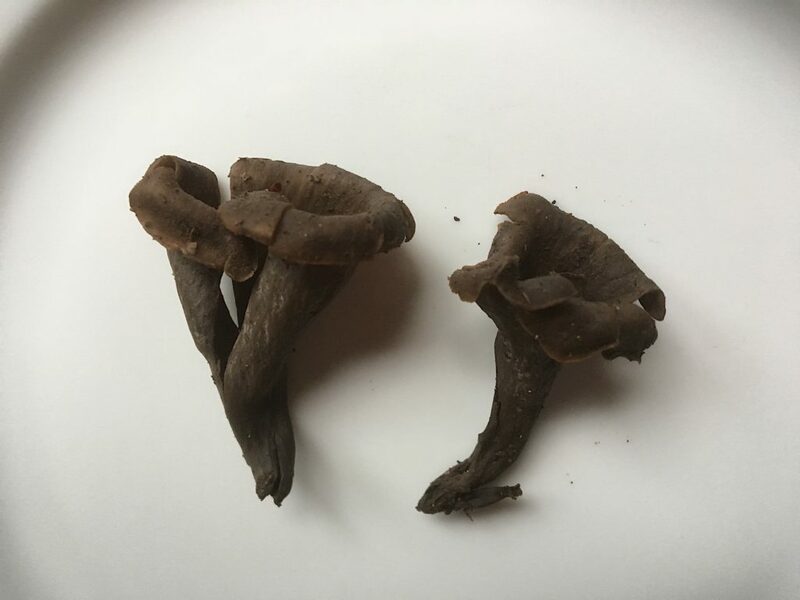 Like Lion’s Mane that I wrote about last year, Black Trumpet mushrooms are easy for the novice forager to identify because they don’t have any toxic look-a-likes. 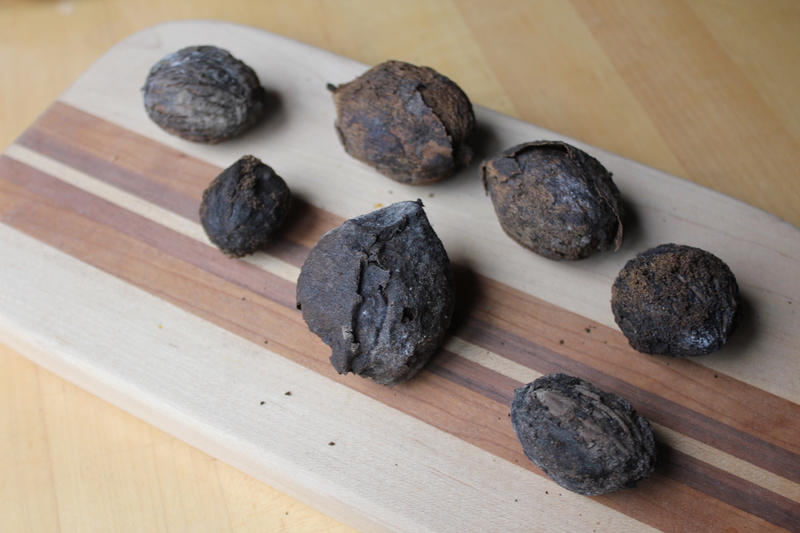 Plus, like Lion’s Mane they are absolutely delicious: earthy, aromatic and deeply flavorful, possibly one of the best smelling and tasting mushrooms out of all the top edibles. 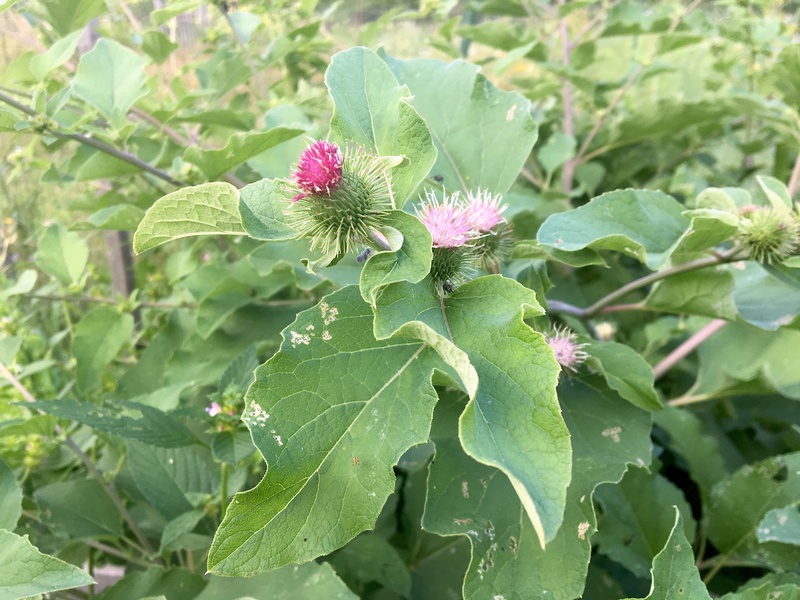 This entry was posted in Foraging and tagged Black Trumpets, Catskills, Foraging, Foraging in the Catskills, New York, Upstate on August 18, 2018 by JNUrbanski. 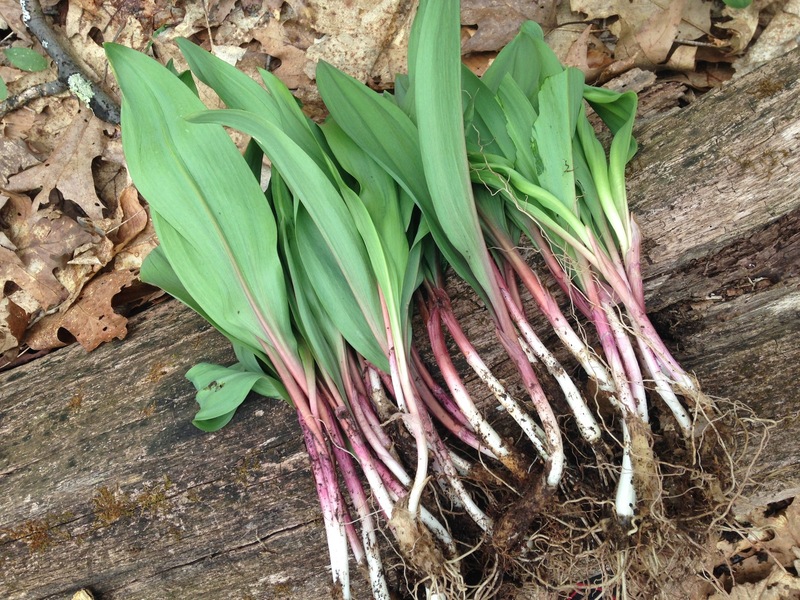 This entry was posted in Farming and tagged Catskills, Catskills Farming, Catskills NY, Farming in the Catskills, Foraging in the Catskills, Hickory Nuts, Upstate NY on January 13, 2018 by JNUrbanski. 54F by mid-afternoon, chilly but warm in the sunshine once the clouds cleared late afternoon. 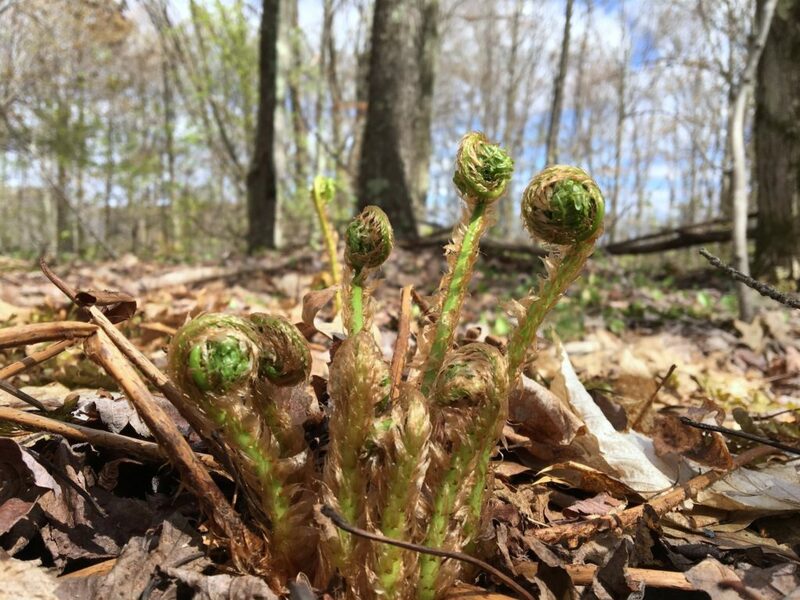 This entry was posted in Daily Catskills and tagged Catskill Mountains, Catskills, Country Living, Foraging, Foraging in the Catskills, I love NY, Nature, Visit Catskills on May 10, 2017 by JNUrbanski. It has been a remarkable summer for wild apple trees that seem to be everywhere you look. Much more conspicuous this year due to being so heavily laden with fruit, they’re all full to bursting with apples that are about two inches in diameter and mostly green in colour. Here in the Catskills, bear and deer are going to be feasting on them well into winter. 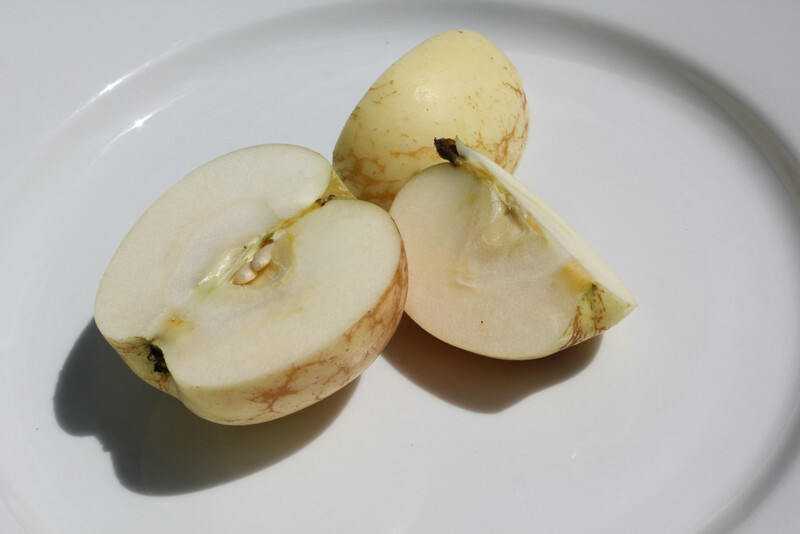 The fruit is very tart to taste but make a superb apple sauce with the addition of sweeteners like honey, sugar or orange juice. 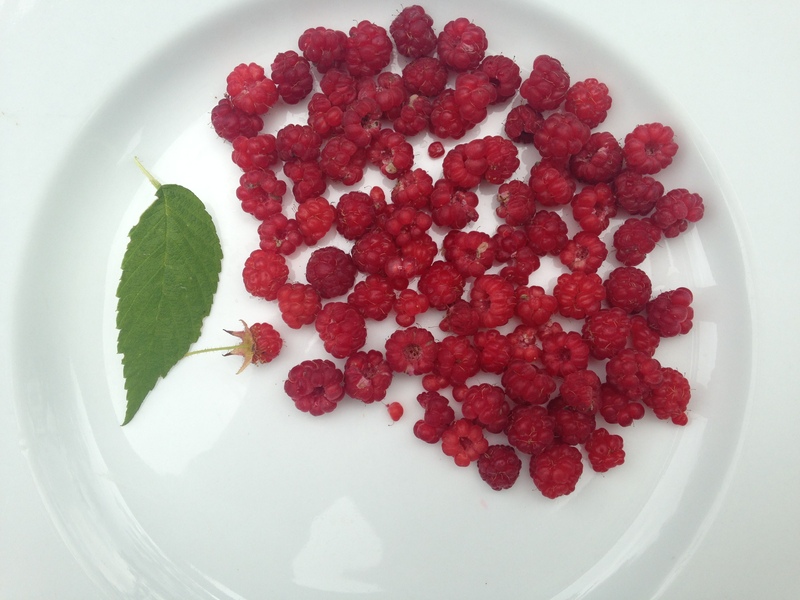 They make a fantastic compote with berries. 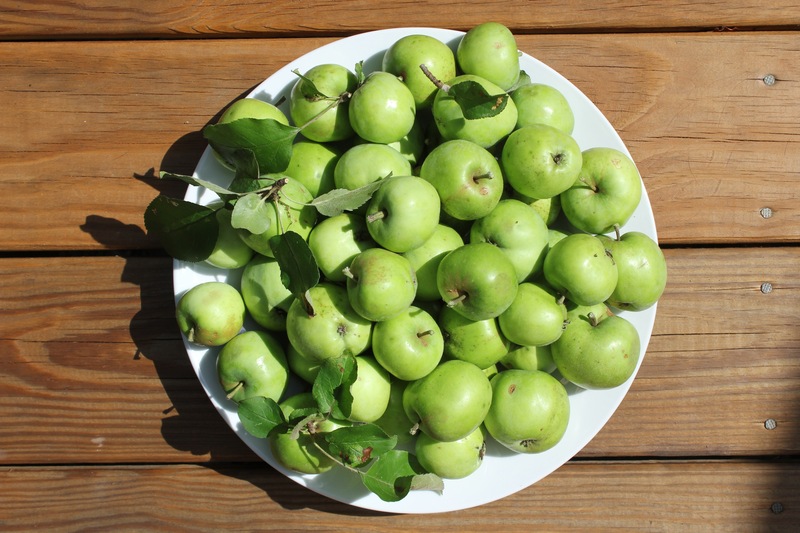 A noteworthy source of vitamin C and fibre, the apples will fit in just about any pie, cake or sauce. Soak them in vodka for a tart cocktail, a replacement for Cranberry juice, or add them to cider. This entry was posted in Farming and tagged Catskill Apples, Conservation, Country Living, Eat Locally, Farming, Foraging, Foraging in the Catskills, Local, Mountain Life, Wild Apples on August 9, 2015 by JNUrbanski.